Personal training is a great way to see faster results. We design your personalized sessions on your unique strengths, weaknesses, style and goals. With focused attention and constant encouragement, we keep changing it up so you'll see results you never thought possible. 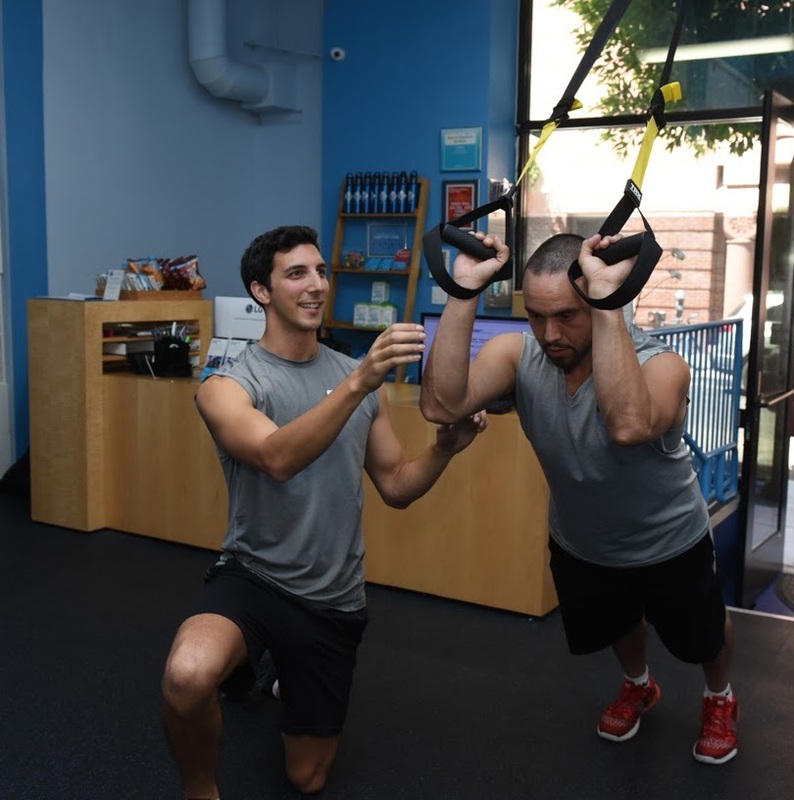 Combined with our Pilates, Group Fitness, and Nutrition programs, you will reach your fitness goals. High intensity program for when you're busy, or simply want to feel like you've had an hour-long workout in half the time. Clients training with us may use our treadmills and elliptical trainer by Precor as well. The traditional workout program for when you have the time, have an injury, or just want to take it slow. Includes post-workout stretching – and twice the positive reinforcement and encouragement. PRO trainers have a minimum of 1 nationally recognized certification and 2 years' training experience. ELITE trainers have 2 or more certifications and 5 years of training experience. MASTER trainers have 3 or more certifications and 8 years of training experience. 30-minute total body workouts. Our certified trainers offer safe and effective training. 30 minutes: High intensity for when you’re busy, or simply want to feel like you’ve had an hour-long workout in half the time. Train with great tools like BOSU, TRX, Rip Trainer, Kettlebells and more. Goal-setting, program planning and before/after body measurement. Indoors: Rainy? Cold? Wanna escape the fog? Train in our Mission studio or in our new 3,700-sq ft studio in the Financial District. Outdoors: Fresh air, scenery and lots of jealous people in work clothes passing by. Click here to see our training locations throughout the city. PRO trainers have a minimum of 1 nationally recognized certification and 2 years of training experience. MASTER trainers have 3 or more certifications and 10 years of training experience. • 60 minutes: The traditional workout model for when you have the time, have an injury, or just want to take it slow. Includes post-workout stretching – and twice the positive reinforcement. • Train with great tools like BOSU, TRX, Rip Trainer, Kettlebells and more. • Goal-setting, program planning and before/after body measurement. • Indoors: Rainy? Cold? Wanna escape the fog? Train in our Mission studio or in our 3,700-sq ft studio in the Financial District. • Outdoors: Fresh air, scenery and lots of jealous people in work clothes passing by. Perfect for people working towards a common goal. Upcoming vacation or wedding? bodyFi can help! All rates are per client prices. Train with a buddy and get fit together! 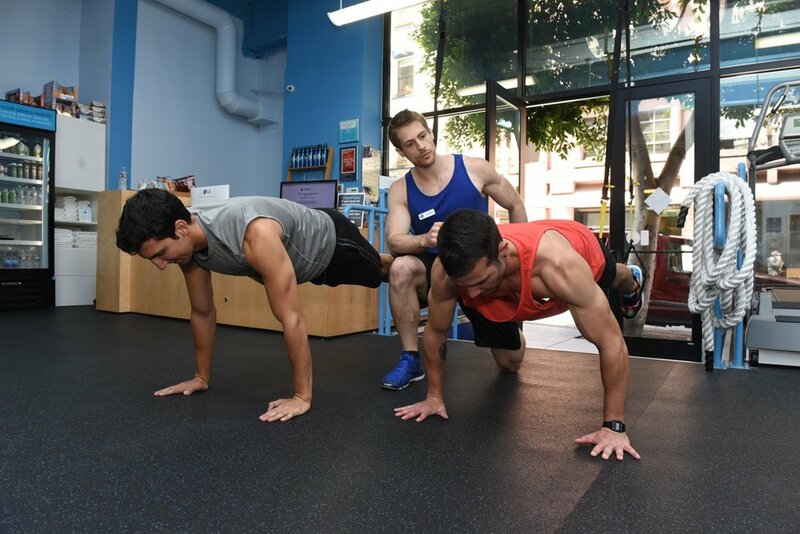 bodyFi personal trainers come to your home in SF. No gym? No problem! Our trainers can bring TRX and many other tools to your home or small gym. Serving San Francisco.